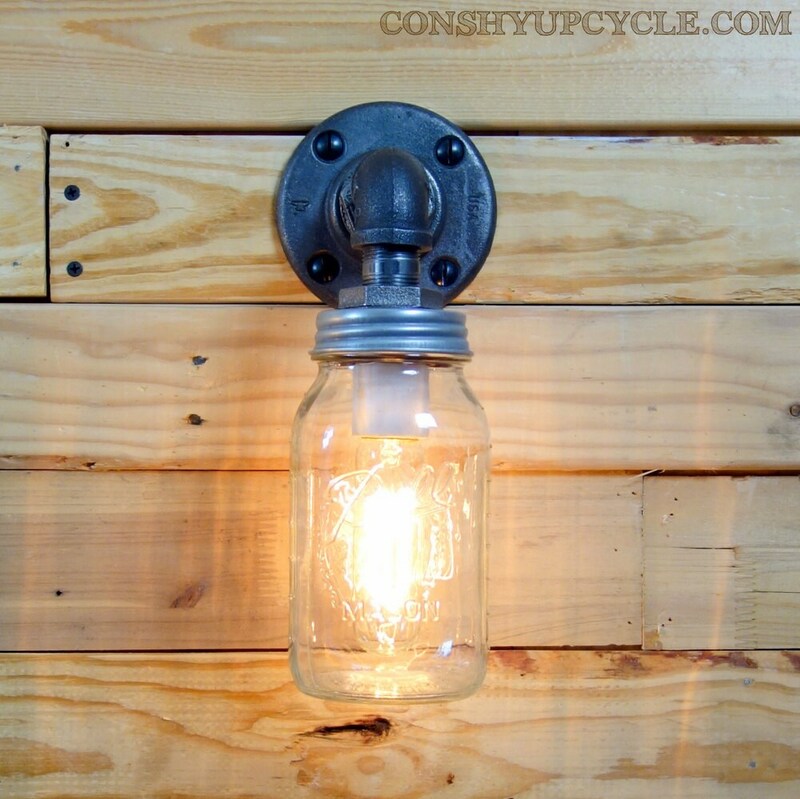 This wall sconce features a 1 quart sized clear Ball mason jar, and dark steel piping. This wall sconce will add a steampunk style to your indoor or outdoor settings. The single mason jar wall sconce measures 12” high, 5” wide,7.25” deep and is available in hardwired or a plugin version. All Conshy Upcycle fixtures use standard bulbs from the US - the fixture uses a medium base bulb and can be either hardwired or plugged in. Please choose the style you would like in the options on the right. Bulbs and mounting hardware are not included, installation by a qualified electrician is always recommended. Conshy Upcycle lamps are made from antique mason jars produced in the past 100 years - beautiful, reclaimed pieces from factories, barns and workshops throughout Pennsylvania, New Jersey and New York that all have their own story.